Alex Rodriguez, the Yankees’ third-baseman, steps up to the plate on Aug. 3 in Trenton. Photo by Lesley Le Platte. TRENTON—On Aug. 5, New York Yankees third baseman Alex Rodriguez and 12 other professional baseball players were suspended by Major League Baseball for their involvement with banned performance-enhancing drugs. While the 12 other players received 50-game suspensions, Rodriguez made headlines for his 211-game suspension. On Aug. 3, Rodriguez played for the Trenton Thunder, as part of a rehabilitation stint from off-season hip surgery. Rodriguez had to face accusations of being involved in the case against the now-defunct rejuvenation clinic Biogenesis of America. The Biogenesis investigation has created a scandal. In March, MLB sued six people connected with Biogenesis for providing MLB athletes with banned testosterone and human growth hormones. Rodriguez received punishment for his involvement not only from MLB, but also from his fans. 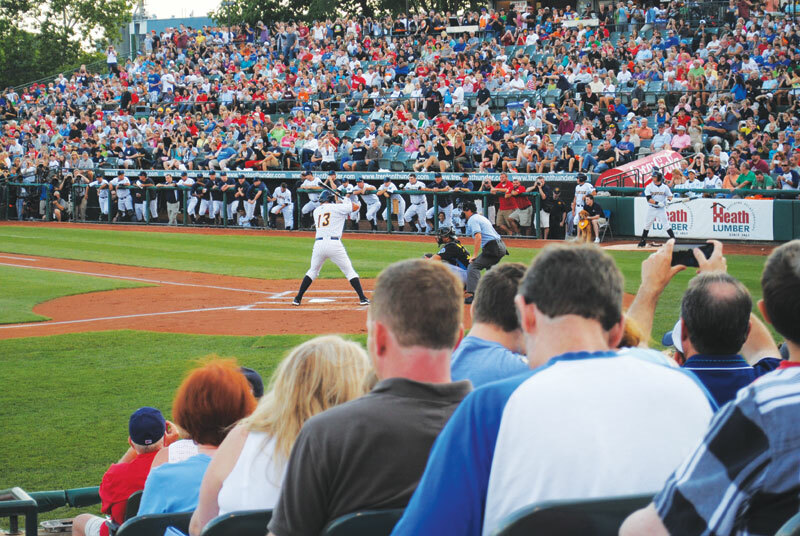 Seats at Arm & Hammer Park in Trenton sold out within 24 hours of the line-up release, which included Rodriguez, according to the Thunder’s general manager, Will Smith. Smith estimated that there were 3,000 more fans at the game than at typical Thunder games. However, that did not mean that all the fans supported Rodriguez. While some fans cheered for Rodriguez the entire game, others thought his suspension was necessary in order to enforce MLB regulations. Girardi may not think Rodriguez should be judged by his actions, but some members of the public thought otherwise. This entry was posted in Sports and tagged Alex Rodriguez, Baseball, Major League Baseball, New York Yankees, SJP2013, Trenton Thunder on August 12, 2013 by pusjp.